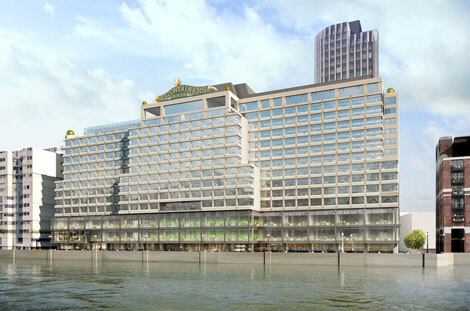 Sea Containers House on London’s Southbank is set to become a luxury 358-room hotel managed by Morgans Hotel Group’s Mondrian brand, according to a report by Property Week. Property Week now reports that the Morgans Hotel Group will manage the 358-room hotel, subject to planning permission, under its Mondrian brand. Mondrian currently operates two hotels in London – the Sanderson and St Martins Lane – while Modrian has existing properties in LA, New York and Miami. For a recent review of the Mondrian Miami South Beach, click here. For more information visit mondrianhotel.com.